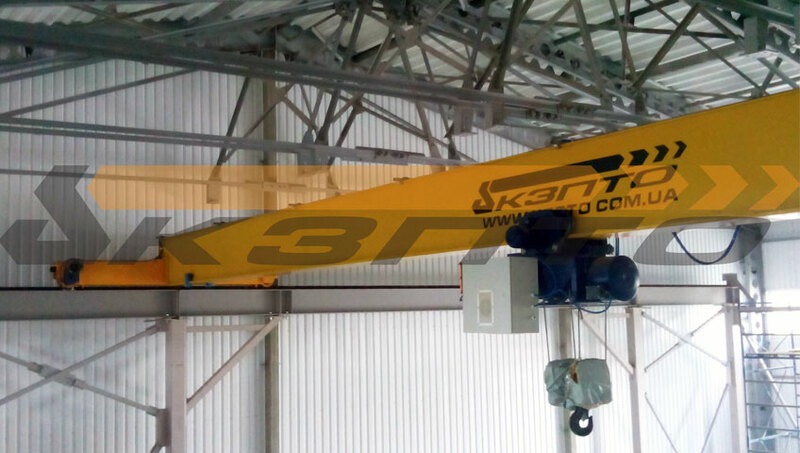 Enterprise «Kyiv Crane Machinery Plant LLC» was successfully completed another project for the fabrication and installation of single girder overhead crane electric reference for the new production of a dairy farm in the Kiev region. 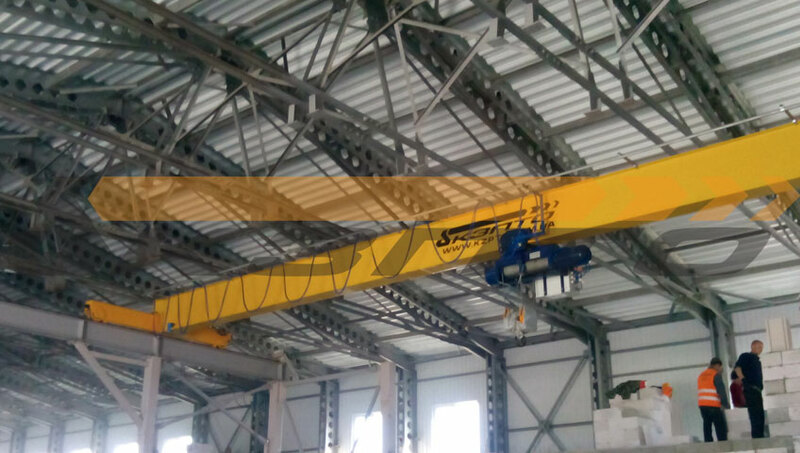 According to the conditions of the future management and maintenance of the Customer, the task was to design, manufacture and assemble supporting crane 5,0t with frequency-controlled device and radio control on the existing crane trestle. 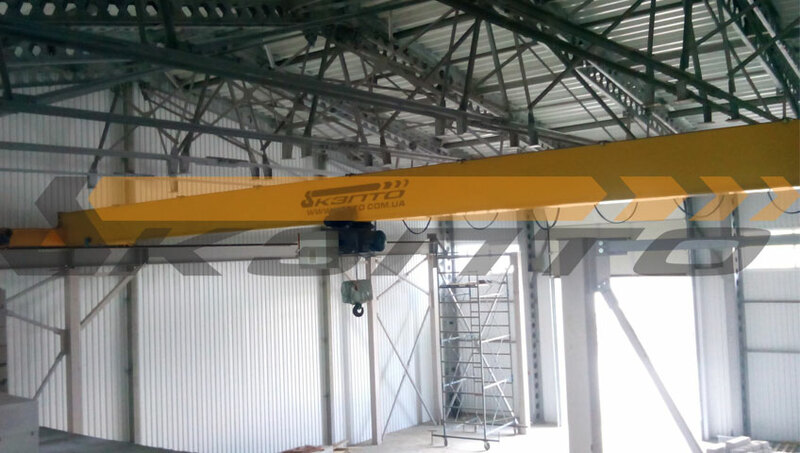 This problem was caused by the necessity of precise positioning of the goods and the free movement of the operator regardless of the crane. To save money and extend the life of the crane wheels Customer service was recommended to opt for a profile, square section 50 * 50 of the runway. 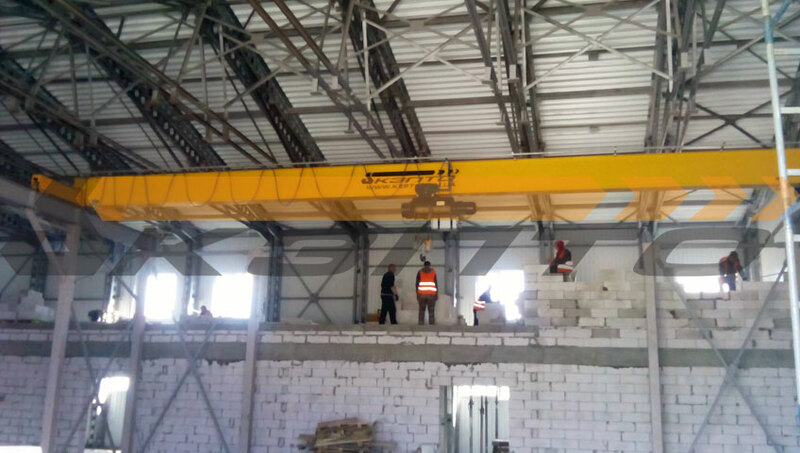 Upon completion of the installation specialists of «Kyiv Crane Machinery Plant LLC» was produced leveling ways to tap routine tests with a load on the static and dynamic loads, issued a technical report on the crane installation work, as well as passport and approvals to enable commissioning of the equipment of public oversight bodies . flight path bar box structure H = 700mm.